Hi Connie here today to share a panel card. There are so many uses for this Frantic Stamper Color Block card panel die . You could use all those pretty Designer papers, or actual pictures you have taken for your scrapbook pages, I have ideas just running through my head. 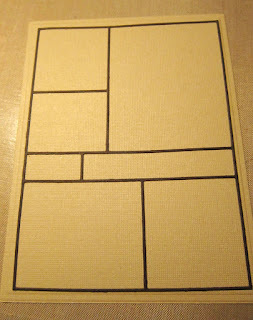 Here is a picture of the die layered onto a Spellbinders A2 Matting basics A die cut. 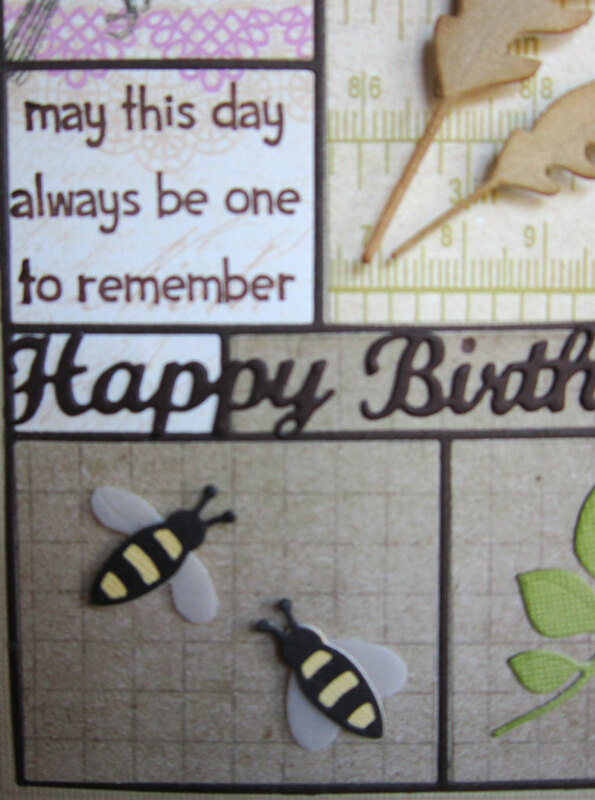 In today's card I used different papers from my scraps bin. 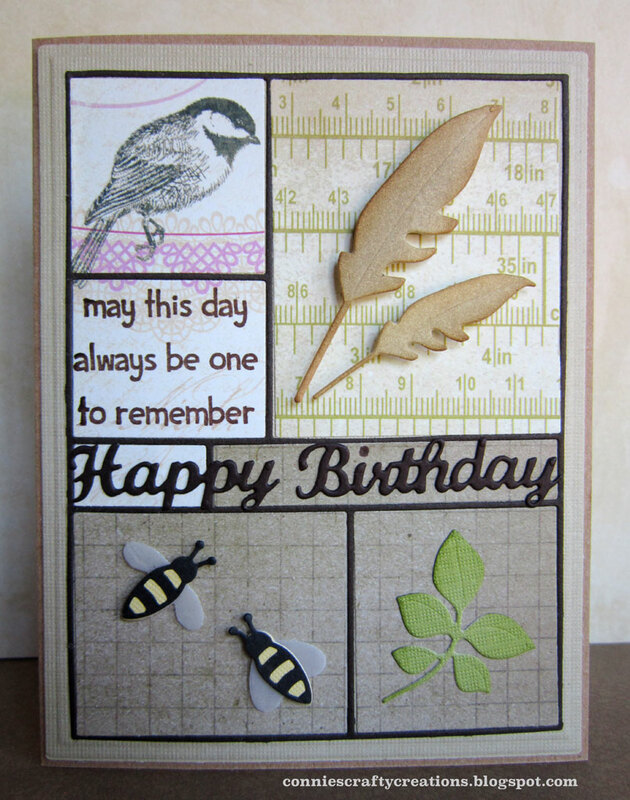 I stamped the sentiment panel with Paper Smooches Happy Birthday sentiment stamp set, The bird was part of the paper I cut out. Memory Box Wild feathers for the upper right panel. 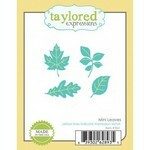 Taylored Expressions Mini leaves die for the bottom right panel. 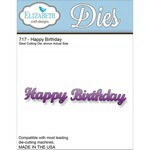 Elizabeth Craft designs - Happy Birthday die over both middle panels. 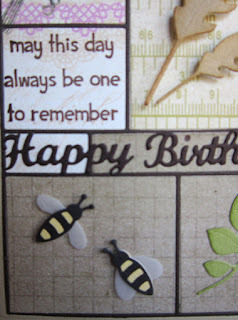 The bees are also from Elizabeth Craft Designs. There are 3 layers to the bees, I just love this set, here is a closeup of the bees die. 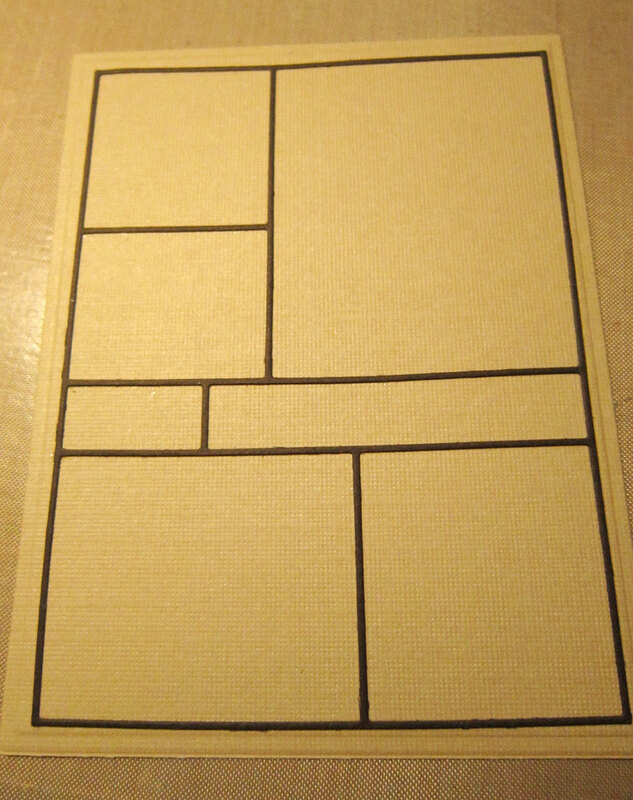 I used vellum for the wings and yellow and black card stock for the other layers. I have done some ink sponging on the leaves and feathers. Here are pictures of the dies I used in this card, links are above in the description. What a fantastic idea the block card panel die is, something new to me. A great way of using up all the scraps us Crafter's manage to accumulate too! Your card is gorgeous, and I love that it contains different die elements as well as scraps - brilliant! Love your card and that color block stamp! So many possibilities! You have filled each block with perfect little details....seriously, everything is perfect!!! Love it! I like how you kept it all fairly neutral looking so it could be for a guy as well. Beautiful job. This is a great masculine card! How fun to find something for each block. You did a great job bringing these elements together. So creative, love how you used nature for this beauty in the blocks composition. Nicely done. It's a Beautiful Summer Day!